Walk to Downtown Apex! Impeccable open plan home. 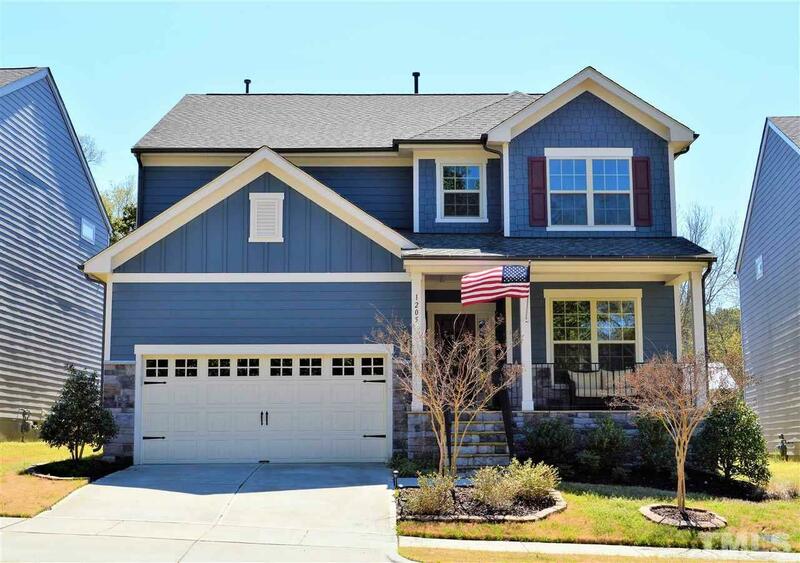 5 BR, 4BA, Loft, amazing Kit w/granite cntrs, gas cooktop, wall oven, micro, huge island. SS French Door Ref, 1st Flr Guest Ste, DR & Foyer w/wainscoting, crown molding, Office/Drop Zone. Scraped hardwood flrs downstairs. Huge Mstr Ste w/Sitting rm, his & her W-I closets, subway tiled shower plus tub. All 4 tiled baths & laundry have granite cntrs. W&D convey. 6' Privacy Fence. Grill can convey. Trackside Skate Park, Dog Park, Playground & more nearby.